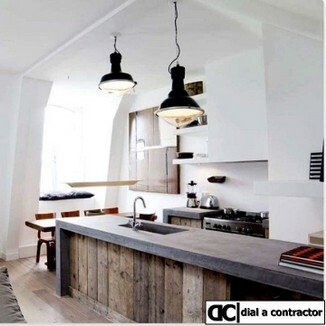 Dial a Contractor has a panel of reputable construction companies located throughout the Western Cape. We are building contractors and property developers specializing in commercial, retail, industrial, government and residential construction. We operate in the greater part of the Cape Peninsula. We have the combined resources and expertise to successfully complete any size contract. Our many and varied competencies include from underground cellars, steel structures, concrete silo's, concrete slabs, the building of new houses, renovations and the fine details in boutique hotels and restorations. There’s almost nothing we will not undertake with confidence. We have years of experience and a tonne of successful projects behind us. DO YOU REQUIRE A CONSTRUCTION COMPANY IN THE CAPE TOWN AREA? We can assist in Locating a Professional, Cost Efficient and Certified Construction Company in and around Cape Town. Locating a Professional Construction Company in Cape Town is as simple as giving us a call and we will send you three of our approved cost efficient Construction Companies. 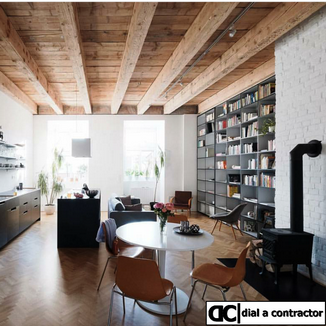 Dial a Contractor represents the best and leading construction companies in Cape Town. These builders have years of expereince in new builds, renovations, restorations and additionas. These construction companies on our panel are situated in every major suburb of Cape Town and are some of the most accomplished building contractors in the Western Cape. These companies pride themselves on having successfully completing many building projects in and around Cape Town. We provide high standard of quality at the most economical building prices. We are the premier residential and small-scale commercial construction company in Cape Town and specialise in commercial, retail, industrial, government and residential construction projects. We offer a range of maintenance and home maintenace repair services from tiling to painting. Dont underestimate these tasks which on the face of it might seem very simple but a small job can very quickly turn into a disaster. We recommend using an expert woth experience in these trades. the more complex and expensive the finish you are providing the more experienced the contractor you need to hide. In life you get what you pay for and in this case if you pay for a labourer off the street you are taking a huge risk. By example if you are laying cermaic tiles you need a less experienced tiler than if you were laying porcelein tiles in which case you should be working with a more experienced tiler. If your not sure get expert advise and make use of our three quote system.